"Snowglobe" redirects here. For more uses, see Snowglobe (disambiguation). The Snowglobe Mouse is an Event Mouse found during the annual Great Winter Hunt event. Information on how to locate and capture the Snowglobe Mouse can be found on the current Great Winter Hunt location page. 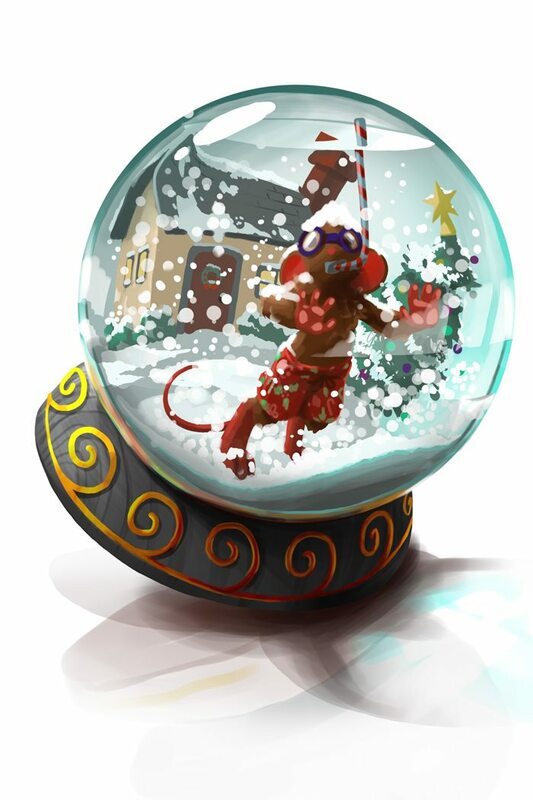 10 December 2012: The Snowglobe Mouse was released as part of the Great Winter Snowball Fight event, but was locked and could not be encountered by Hunters. 14 December 2012: The Snowglobe Mouse was unlocked and could be encountered by Hunters, but only after catching a Confused Courier with the Letter to Santa, Age 8. 13 December 2016: The points/gold for Snowglobe Mouse were changed.